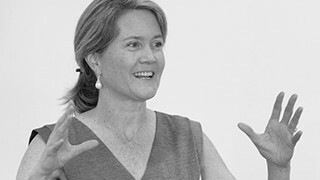 Dorte is the founder of FourSight Denmark, as well as a creativity expert, author and keynote speaker. 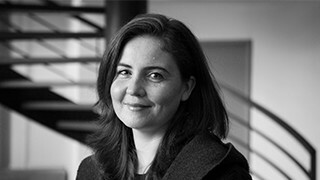 Dorte is head of department and program director of ”Creative Communication” a BA education for Art Directors and conceptual thinkers at the Danish School of Media and Journalism, where she teaches, does research and consults in the area of creativity and creative thinking. Dorte is the author of numerous books and articles on creative thinking and in recent years held the position of Chairman of Creative Circle, the Danish society for the creative industries. Collaborating with FourSight since 2010, Dorte has spearheaded the launch of FourSight in Denmark. For most of the 90’s she worked as an Art Director in London. Her advertising work there won her recognition at the Cannes International Advertising Festival, D&AD, the British Television Awards, Epica, London International Advetising Awards, Campaign Poster Awards among others. Born in Denmark, Dorte Nielsen studied at The Graphic Arts Institute of Denmark and later at The School of Communication Arts in London. Dorte also holds a Master of Science degree in Creativity and Change Leadership from the International Center for Studies in Creativity, Buffalo, New York, where she and Sarah were awarded the Firestien Family Creative Achievement Award for their graduate work. Gerard is co-founder of the FourSight company as well as founding author and originator of the FourSight theory. Gerard has dedicated his career to bringing the best of creativity theory to the rest of us. Gerard is the department chair and professor at the International Center for Studies in Creativity, Buffalo State, a unique academic department that offers the world’s only Master of Science degree in creativity. In addition to creating the FourSight measure, Gerard has written more than fifty articles, chapters, and books. He recently coauthored the second edition of “Creative Leadership: Skills That Drive Change.” In recognition of his outstanding work as a scholar, Gerard received the State University of New York Chancellor’s Recognition Award for Research Excellence and the President’s Medal for Scholarship and Creativity. Gerard is an accomplished speaker, trainer, and consultant. He has worked with major corporations, universities, and school systems, including the British Broadcast Company (BBC), Paribas, Fisher-Price Brands, Rich Products, and Siemens. Gerard holds a PhD in organizational psychology from the University of Manchester, England. Blair is co-founder of the FourSight company. He travels the globe helping organizations enrich creative climate and foster ideas and collaborative solutions. 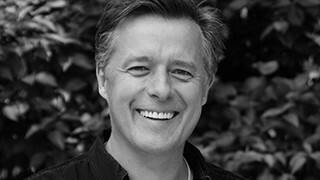 Blair brings to FourSight his vast experience delivering creativity and problem-solving training. In the last ten years, he pioneered the fusion of creative problem solving techniques with traditional cost optimization methods, helping his clients deliver in excess of $1.3 billion in savings. Blair has co-authored numerous books and publications, which have been used by graduate programs in creativity and translated into Spanish, French and Japanese. Blair also serves as Adjunct Professor of Creativity and Change Leadership in the Department of Creative Studies at SUNY Buffalo and is a guest instructor at MBA programs at Northwestern University, Emory and the University of Chicago. The Creative Education Foundation (CEF) recently honored him with the Distinguished Leadership Award, noting his leadership in the development of FourSight and creative leaders in the field. Blair’s gift for working with teams has been seasoned by earlier careers as a classroom teacher and an Outward Bound instructor. His formal training including a Master of Science degree in Creativity and Change Leadership. "FourSight helps individuals and teams improve their performance by leveraging the power of the creative process. Ultimately, this awareness helps us all on how to become stronger, more agile problem solvers in the future." "FourSight helped us collectively apply our very diverse creative styles to accomplish our goals more effectively than we ever could have done individually. We were able to collectively harness the creative power of our organization." "FourSight is simple, elegant and understandable - a great way to introduce people to different thinking styles and how to profit from them." 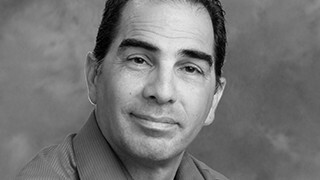 − Dave Labno, Principal, Got Innovation? © 2015 Dorte Nielsen. FourSight is a registered trade mark. All of the work and business case references on this site appears with the kind permission of the clients I have worked with over the years. Please do not copy or publish this work without written consent.